Alongside the eerie Caerulas, Boulron are another creature that have become common in Mysthea. Although, their story is more recent and their arrival in Ilvash is quite particular. Reapers are scary, elegant creatures that move with sinuous, elegant gestures. They are attracted by death, and considered by many to bring bad luck. Boulron are scary, elegant creatures that appeared on Icaion for the first time some years ago. Their presence was extremely unsettling to many, since they were unknown to man until they suddenly appeared one day. It was an odd day. The citizens woke up to see these creatures roaming around like they’d always lived there. At first there was panic, but soon people realized that they didn’t pose a great threat. They move slowly with sinuous, elegant gestures. They roam around and observe other beings, but don’t try to interact in any way. They are considered a sign of bad luck by many because they seem to be attracted by death. It’s not unusual to see them congregate where somebody died, just loitering there for a couple of hours in what seems a form of mourning. Another sign of their dark nature is their habit, while roaming, to become attracted by and follow soldiers, mercenaries or anyone who has had a recent encounter with death. In the wild not only is their normal behavior creepy, but much more frightening is the fact that crystal energy could enrage them at any moment. 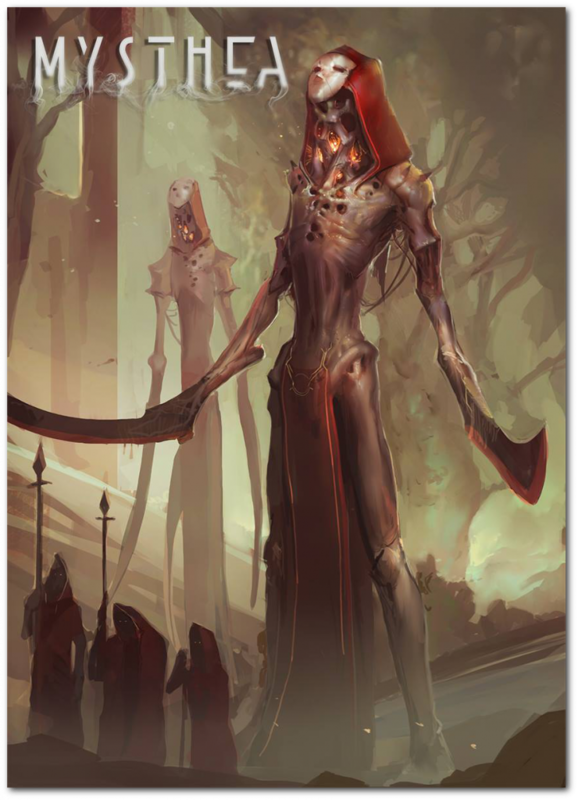 These Reapers are known to forget their calm and slow movement and to become machines of war when triggered by the crystals, capable of destroying entire armies at once.